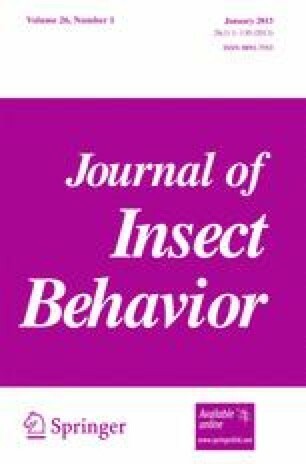 Understanding the factors influencing host-selection behavior of parasitoids is essential in studies on host-parasitoid ecology and evolution, and in combining sustainable strategies of pest management, such as host-plant resistance and biological control. The effects of host-plant resistance on the olfactory response and parasitism success by Cotesia vestalis, a parasitoid of diamondback moth (Plutella xylostella) larvae were examined. Here, it was demonstrated that host-plant resistance can strongly influence foraging behavior and parasitism success of the parasitoid. In olfactometer experiments, C. vestalis did not differentiate between crucifer plant types with similar levels of susceptibility or resistance to P. xylostella but showed a strong preference for susceptible compared with partially-resistant host plants. The influence of previous oviposition activity varied with the host-plant type experienced by the parasitoid. In cage experiments, C. vestalis preferred to parasitize P. xylostella larvae on a susceptible plant compared with larvae on a partially resistant host plant when exposed to hosts for 24 h. However, this preference appeared to be transitory, and was not found after 96 h exposure. The present study suggests that combining partial host-plant resistance with biological control by C. vestalis for the control of P. xylostella may in some circumstances be antagonistic and negatively affect parasitism success. We thank Panagiotis Vamvatsikos for modifying the olfactometer and Mohammad R. Nematollahi for comments on the draft manuscript; JK was sponsored by the Agricultural Research and Education Organization (AREO), Iran.